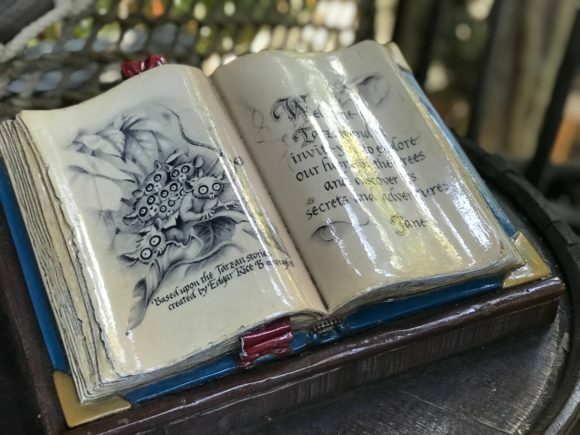 Posted on: April 4th, 2019	by Jennifer A. A few weeks ago, as part of the Awesome Retreat, a conference for theme park influencers, I had an opportunity to visit Disneyland for a day. Tickets were included in our conference fee and there was no way I was going to pass up using them. Truth be told this was only my second visit to Disneyland. 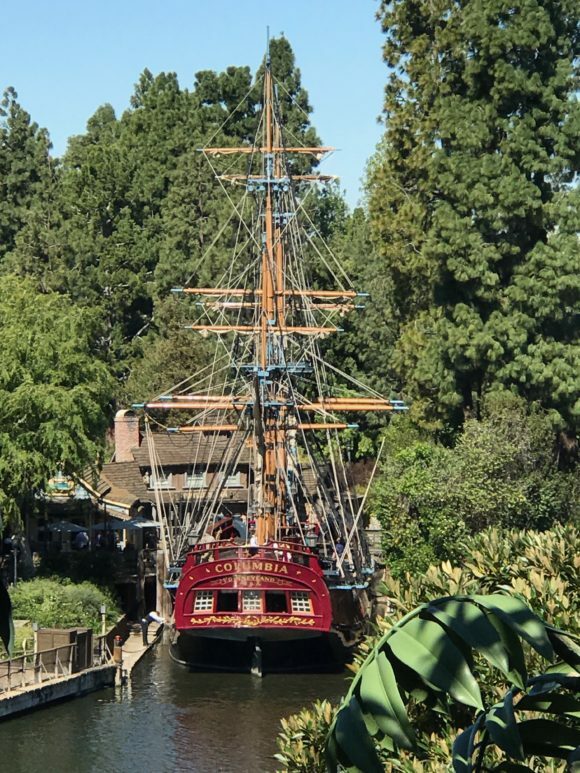 You can read about my first visit to Disneyland here, My Favorite Moments During My First Visit to Disneyland. I rarely go to a theme park without my kids. And I barely ever ride roller coasters. So in a place like Disneyland, I’d rather explore. I want to find all the nooks and crannies, watch all the shows, and ride the slow, yet still thrilling rides that tell a story with each twist and turn. I’ll get there early to see a parade and I’ll look up and around to find secret places at Disneyland that others might miss. On my most recent trip, while friends used parkhopper tickets to pass back and forth between the parks, I spent all day in Disneyland. From opening to just about closing I had all of that time to do all the things I wanted to do at Disneyland. It was fabulous! It’s also how I came to discover this secret Disneyland playground. From the ground, the rope bridge caught my attention they called out to me begging me to come closer. I had to explore how to get to it and where it leads. So with no one to stop me, I did. Where is the secret playground? 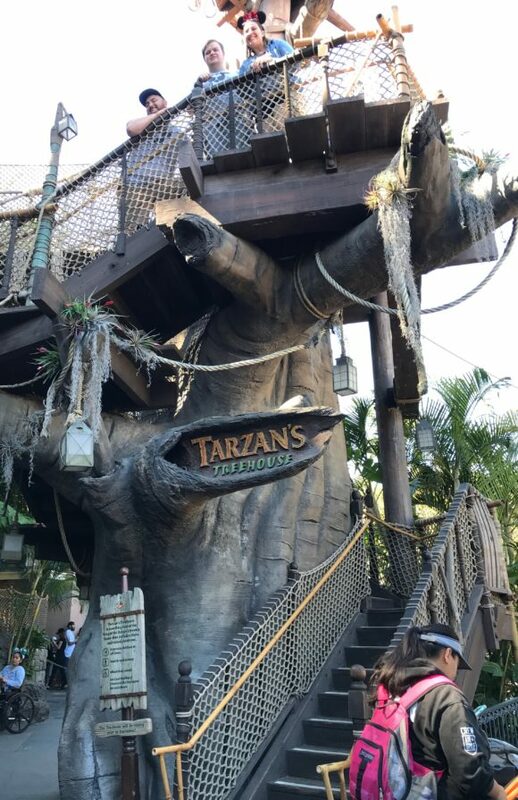 What I’m calling the secret playground in Disneyland is really called Tarzan’s Treehouse. 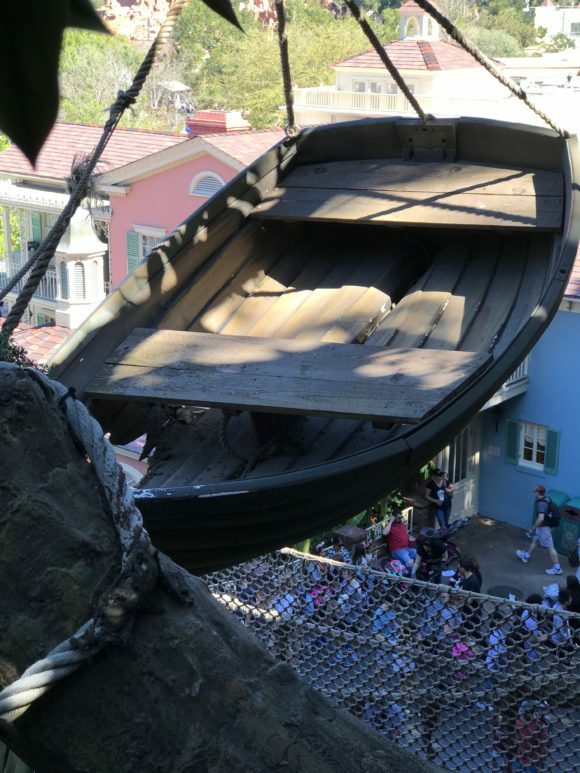 It is located in Adventureland, across from the River Belle Terrace, between Pirates of the Caribbean and the Jungle Cruise. Yes, two very thrilling Disneyland rides that are not roller coasters. If you’re walking quickly from one Disneyland ride to the next you could easily miss this secret play area. 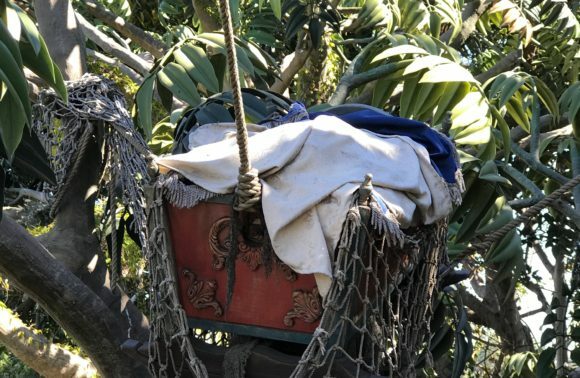 From the outside, it looks just like an overgrown tree that is part of the Adventureland decor. Even the signage blends in with the tree. What’s especially awesome about this Disneyland play area is that it is big enough to accommodate multiple Disneyland guests but small enough not to be overwhelming. 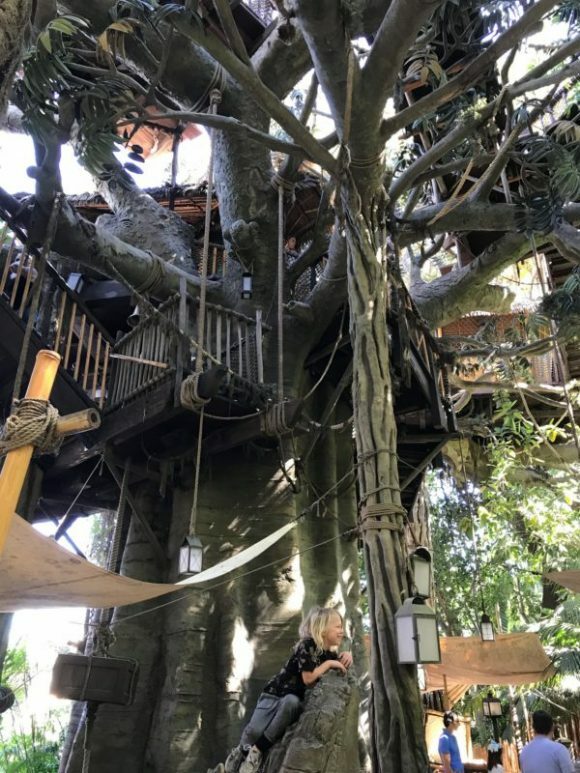 And because it is a treehouse with a thick tree trunk and multiple limbs covered with leaves most of the play areas are camouflaged among the tree limbs and leaves. 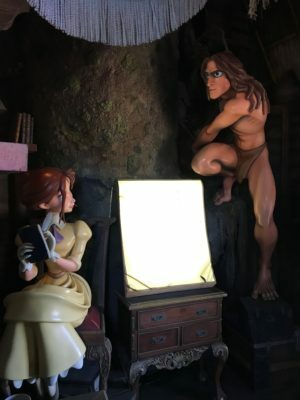 As you walk through Tarzan’s Treehouse it’s like walking through his life from seeing him as a baby in a cradle to a full grown adult becoming friends with Jane. 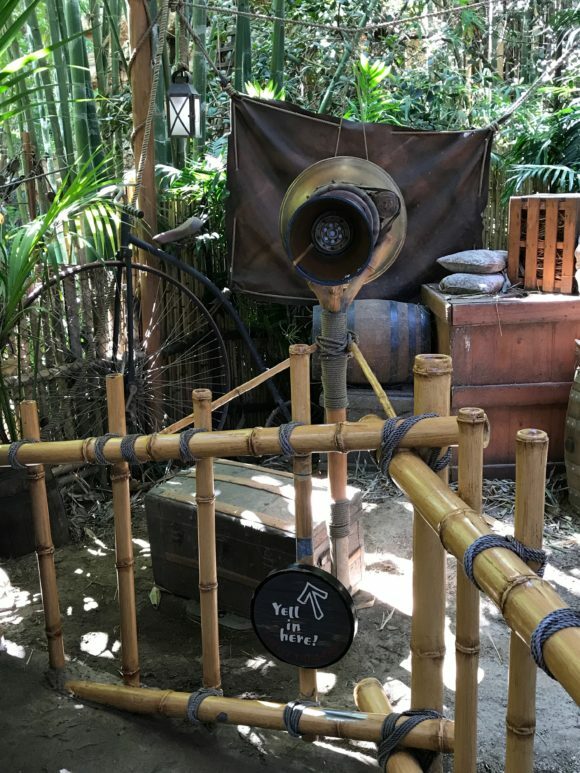 Each play area and bit of decor tells us more about Tarzan and his journey to become a man. 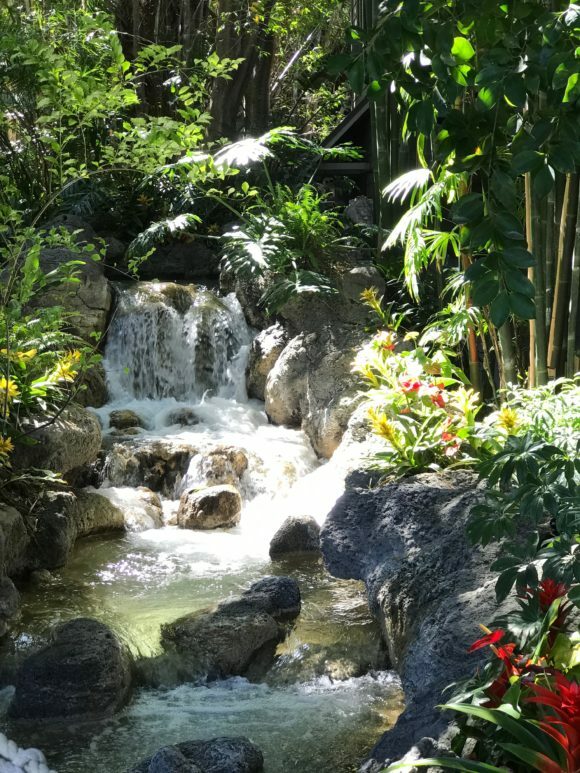 This secret playground at Disneyland even had its own waterfall. You can see a little more of the secret playground at Disneyland in this video. Walk across the rope bridge. 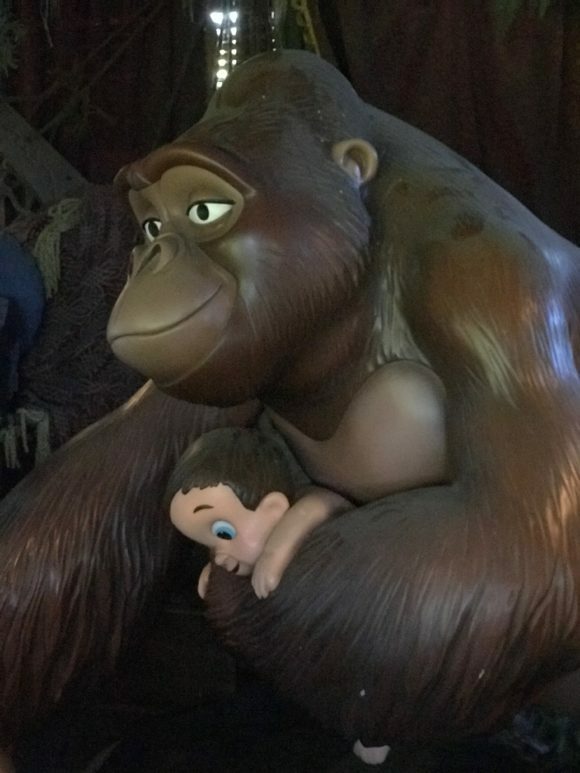 See baby Tarzan cuddled by a gorilla. Read the pages from the books on display. In every new area there seemed to be another book to read. 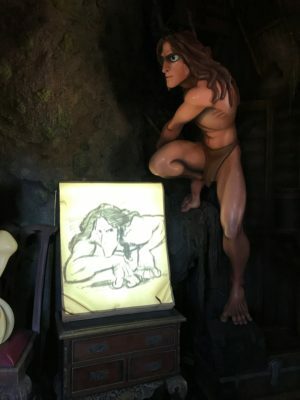 Watch Jane sketch Tarzan. The drawings on in her journal are projected onto a larger writing tablet that changes as she draws. Listen for the crying baby or the cheetah roar. You’ll hear baby Tarzan crying before you’ve even had a chance to see him. It’s one of the first sounds you’ll come upon after you cross the rope bridge. 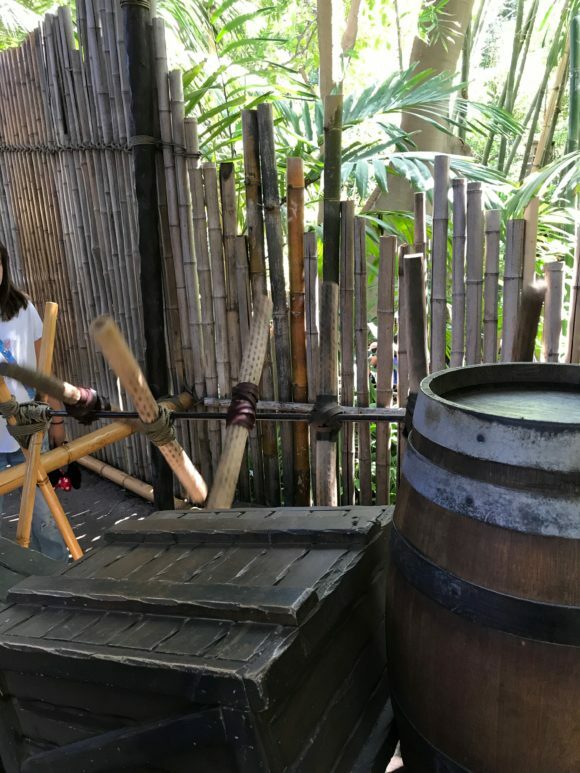 Take pictures with all the interesting elements of Tarzan’s Treehouse like the wheel of a ship. Go ahead. Let your kids pretend to steer to a magical destination. Find the boat hidden in the trees. It’s the size of a regular row boat. Climb a rope or the mountains at the base of this secret playground. Spin a unique musical instrument. Yes, those bamboo poles really spin. Photo Credit Jersey Family Fun. Yell into the megaphone. Trust me. It’s encouraged. Look at the sign. Bang on the hanging frying pans. 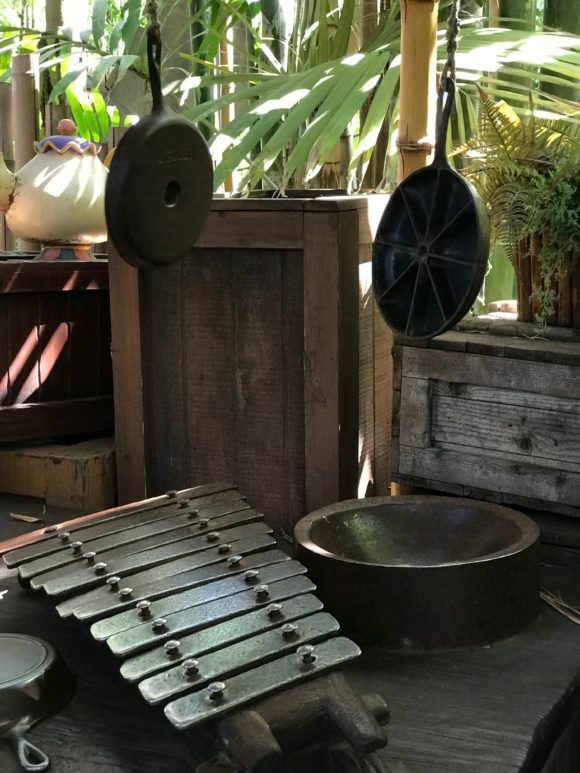 They are located near the xylophone. 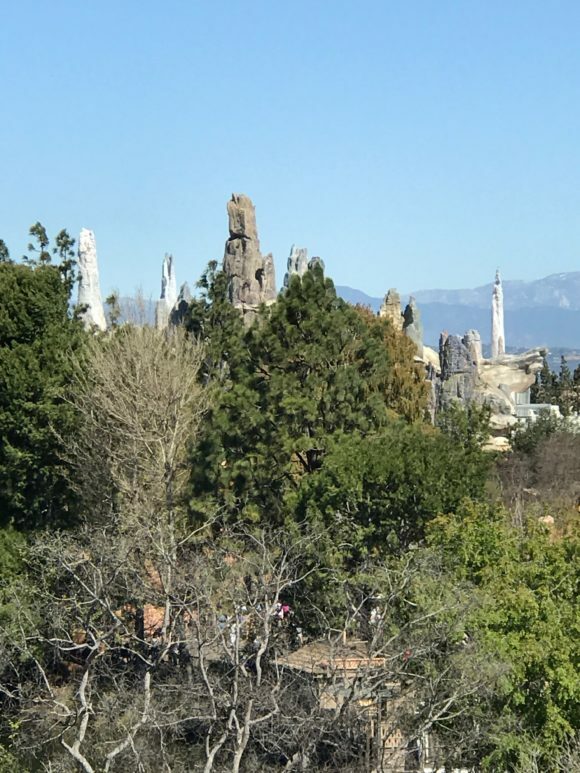 Make your way to the top to see all the amazing views of Disneyland. Get this amazing view of Columbia. Photo Credit Jersey Family Fun. 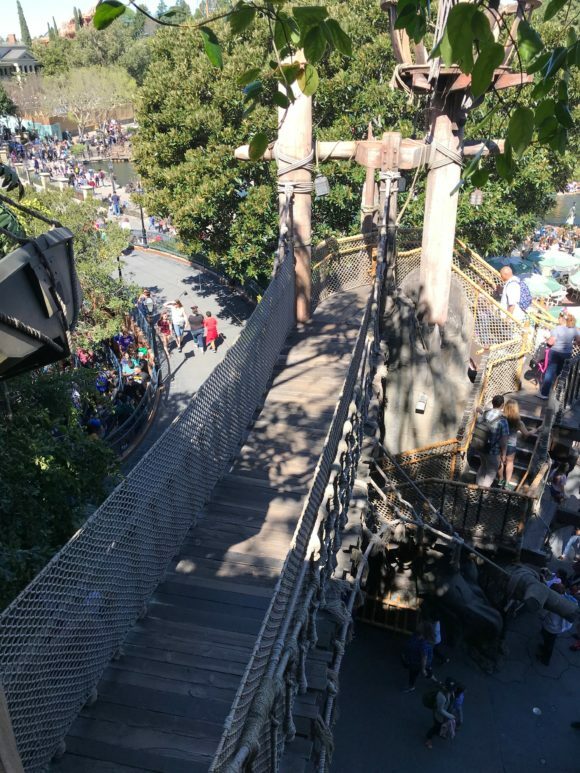 Look out from one of the platforms and get a great view of Star Wars: Galaxy’s Edge. You have to be looking for it though! This view caught me by surprise and it can easily be missed if you are just moving through the levels. Make sure you look around as you climb the stairs. 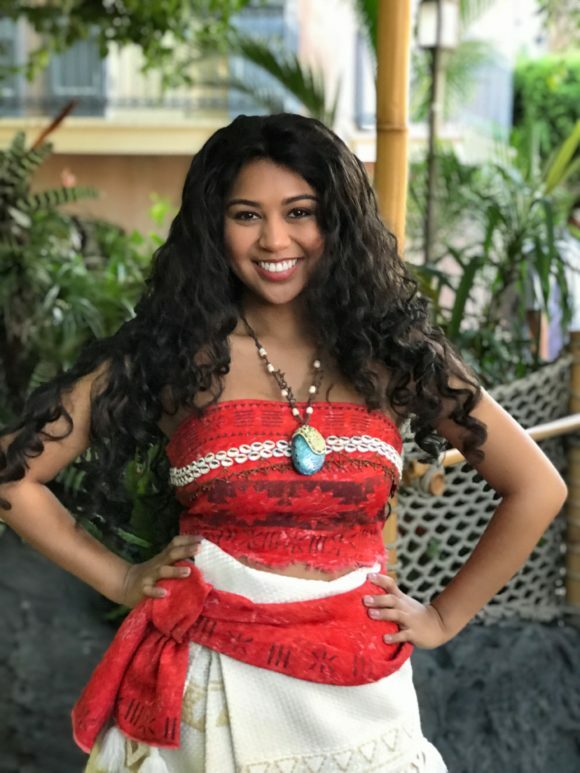 Pose for a picture with Moana during her scheduled meet and greets in Disneyland. This was another moment that caught me by surprise. I had not been looking for characters as I walked through Disneyland. But surprise! There was Moana. I asked her to pose for a picture between her other pictures with guests. She graciously agreed and the result was this stunning picture. It’s one of my favorite’s from my trip. 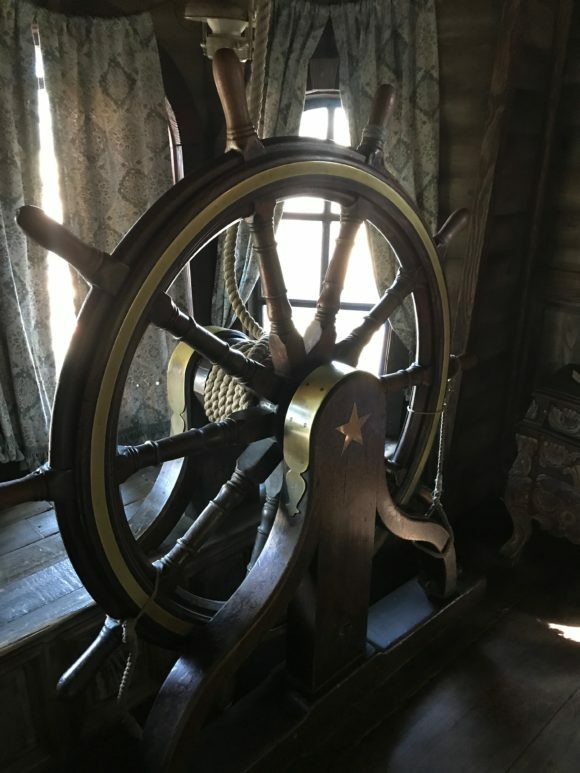 What kind of secret areas have you discovered at Disneyland? 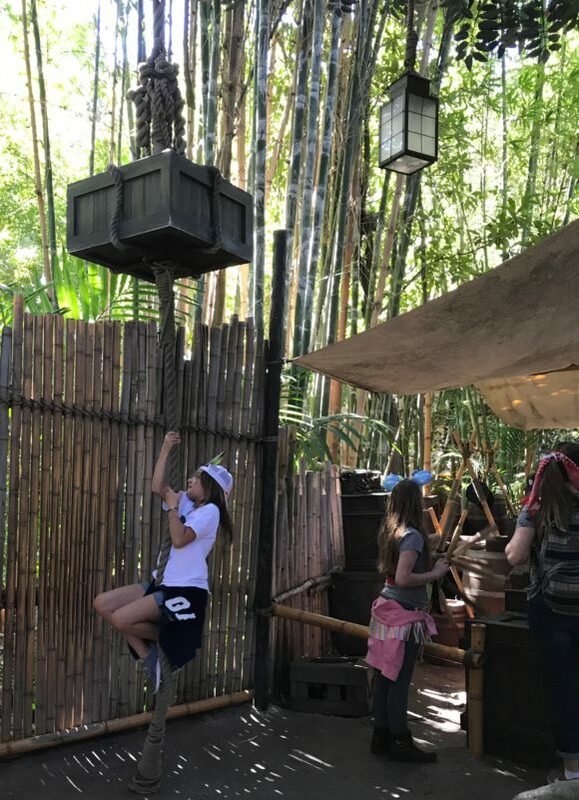 To book your next trip to visit Disneyland to see this secret playground or any of their other amazing attractions, visit getawaytoday.com or call 855-GET-AWAY to speak to a travel expert directly. 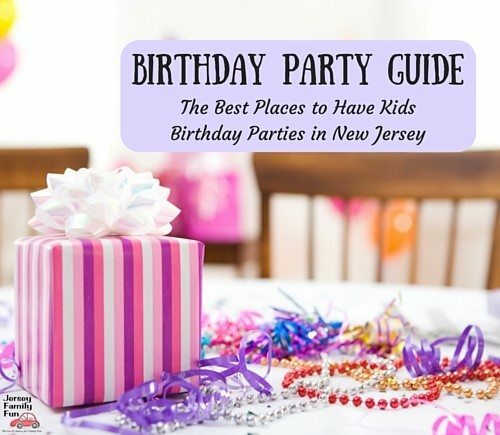 Be sure to mention that Jersey Family Fun sent you! Every trip a reader books with Get Away Today, gets us closer to our next Disney vacation.